Are you in need of dental surgery in Media, Aston or Swarthmore, PA? If so, then Media Dental Care is here to assist you. Our staff of dental professionals can be trusted to provide the highest quality of dental procedures. We use the latest and greatest technology to perform surgeries to maintain, correct or improve your teeth, gums, and tissue. When you visit our office, not only will we make sure all of your dental surgery needs are taken care of, but we’ll also make sure you’re as comfortable as possible as we do so. We are available to take your call now to schedule an appointment at our Media, PA location. Teeth that are blocking other teeth, preventing them from erupting. Baby teeth that won’t fall out, preventing your adult teeth from erupting. A wisdom tooth that requires removal. To make room for the braces. As mentioned above, we can also perform extractions on your wisdom teeth. Wisdom teeth are an extra set of molars that often become stuck in the jaw, causing severe pain, swelling, and infections. We can remove these before or after they have fully erupted. Contact us today to determine the best possible option on how to proceed. Implants are a great alternative to those that have missing teeth but need more support and functionality than dentures and bridges can offer. Dental implant surgery consists of surgically positioning metal frames or posts into the jawbone. Once these fuse to the jawbone, replacement teeth will then be able to be mounted on top of the frame. Those that undergo this procedure typically experience a secure fit, better functionality while eating and speaking and natural looking results. 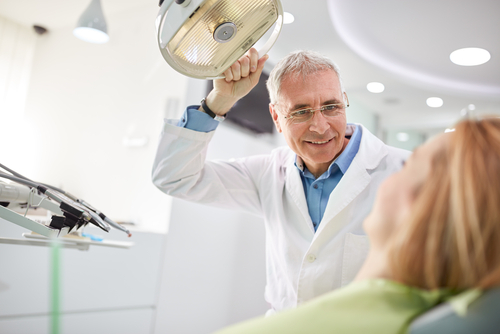 Those from Swarthmore, Aston, and Media, PA seeking dental surgery can now receive quality care and professional dental services from Media Dental Care. Our staff of dentists and dental professionals are all knowledgeable and highly skilled in providing a wide variety of dental surgeries to treat the teeth, gums and the surrounding tissue. Furthermore, we promise that each patient who steps through our doors will leave feeling satisfied with his or her visit to our office. To schedule an appointment for any of the aforementioned surgeries or for more information regarding the procedures that we offer, please call us at 484-441-0298. Lastly, we are proud to operate as a 24-hour dentist office in case of emergencies. Our team is happy to assist you at any time of the day with any problems that you may be experiencing.